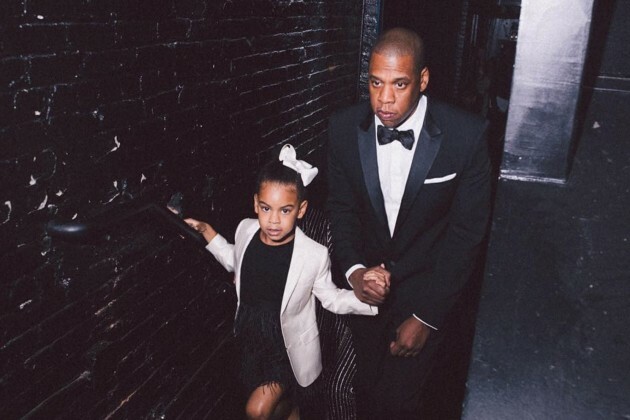 After dropping the visuals for ‘Family Feud’, JAY-Z has just dropped another music video for ‘Blue’s Freestyle’ to celebrate his daughter Blue Ivy Carter‘s sixth birthday. ‘Blue’s Freestyle’ was actually a bonus track on 4:44 and it’s the 11th song on the album to receive a video. The animation was created in collaboration with Art Life Studio and finds Blue on stage at a talent show, freestyling and performing ballet as JAY-Z and Beyoncé sit in the audience.